Green Park Haveli i Pushkar, Indien: Reservér nu! Green Park Haveli os near to main market and sitauted with ecofriendly country side environment hotel in Pushkar (India). We are please to offer first class accommodation facility in Pushkar. It is easy 5 minute walking distance from main market, Holi City Pushkar, Brahma Temple, Pushkar Lake & bus stand. Green Park Haveli offers all rooms with morden amenties & facilities with premium quality marble flooring, with air condition. Every room has independent balcony for serve best Natural green view from inside. 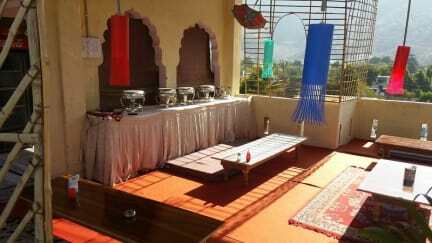 Green Park Haveli boasts a seasonal outdoor pool and views of the mountain. It has a sun terrace and views of the garden, and you can enjoy a meal at the restaurant. Free Wi-Fi is offered and free private parking is available on site.